Missouri City Real Estate offers a full range of real estate properties which includes affordable single family homes, condominiums, town homes and custom built homes. Missouri City is conveniently located only minutes from downtown Houston and all of the amenities the metropolitan area has to offer. It is close to major freeways, rail lines, the Port of Houston, and Bush and Hobby Airports. Missouri City’s strategic location links its businesses with customers around the nation and the world. Missouri City is home to several award winning master planned communities and the highly acclaimed Fort Bend Independent School District, a district recognized for its quality students and teachers. The average price for a Missouri City Real Estate property ranges from $120k to over $1 million. A family moving to Missouri City can expect a high pace living with it’s closed proximity to Downtown Houston and the Galleria area. The Missouri City Real Estate market offers a very diverse selection of real estate properties ranging from older single family homes, newly constructed homes and upscale master planned communities with large estate homes, custom homes and ranch properties. The most well known master planned Missouri City Real Estate community is Lake Olympia, a 30 acre community surrounded by tranquil waterways, a wooded nature reserve and Sienna Plantation a 7000 master planned community. LAKE OLYMPIA – Well known for it’s resort living only minutes away from downtown Houston, Lake Olympia Missouri City Real Estate properties offers single family homes and custom homes ranging from $120k to over $1 million with waterfront homes and a gated community. SIENNA PLANTATION – Well known for it’s resort living nestled between Missouri City and Sugar Land, Sienna Plantation Missouri City Real Estate Properties offers new single family homes to custom homes and established neighborhoods ranging from $200k to over $1 million with resort style amenities like Waterpark pools, fitness centers and miles of trails and parks. RIVERSTONE – Well Known for it’s resort quality amenities and excellent schools in Fort Bend ISD, Riverstone Missouri City Real Estate Properties offers a mix of Townhomes, Single Family Homes and Custom Homes ranging in price from $300k to over $1 million with resort style amenities such as The Club at Riverstone, miles of walking trails and excellent tennis courts. QUAIL VALLEY – The first Master Planned Community in Missouri City, Quail Valley Missouri City Real Estate Properties offers a variety of affordable Townhomes, Single Family Homes and custom homes that range in price from $150k to $600k. The Missouri City Real Estate Market is one of the fastest growing in Houston and the demands for newer properties are very high. Large developments of residential properties and commercial properties recently has transformed the rural area into one of Houston’s largest suburban communities. 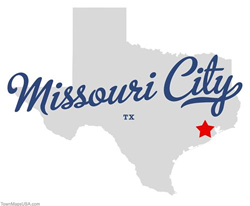 For more info on Missouri City Texas. Go to their Local Government website. More info on Missouri City Schools go to Fort Bend ISD website.